and personalized support from beginning to end. Sessions can be done via phone, skype or facetime. The Individual Programs are a step by step process designed to help you to Rebuild your Health, Reclaim your Life, Rediscover your Joy and Align with your Purpose. With these tools, you can identify the missing pieces of the puzzle and integrate them into your life, creating ever increasing health and inner peace. An important component for healing is the care of our inner life. Our emotional dimension, our mind and our spirit. We might be taking wonderful care of our body, but if our minds are filled with negative thoughts, our emotions filled with negative feelings, and we are disconnected from our spirit, we simply won’t thrive. Add to this, being disconnected from our purpose can leave us feeling lost and unfocused. Identifying and changing our negative thinking and negative emotions is easier said than done. Often our beliefs are held in place by unresolved negative experiences and trapped emotions. These same unresolved negative experiences and trapped emotions also block our connection to our spirit, our true nature and our purpose. The Inner Transformation work also helps removed blocks to making lifestyle and dietary changes. It works by removing the underlying unresolved issues that fuel unhealthy behaviors. It reduces the stress message to the autonomic nervous symptom which can be a component in insomnia, fatigue and other physical symptoms. The Inner Transformation Program is an inner exploration designed to identify and resolve destructive cellular memories, unhealthy beliefs, and trapped emotions. By using self awareness, self love, presence, breath and energy healing tools, we can resolve and free ourselves from our past and our illness and open ourselves to a bright future of good health, supportive relationships, abundance, connection with our spirit and fulfillment in our life purpose. The SpectraVison scan, identifies energetic stressors that are draining your energy. The initial scans identifies and addresses superficial stress that drain your energy and begin to create balance. Even with dietary and lifestyle changes, we may have been out of balance for a long time. Once the superficial stressors are addressed, we can scan to discover underlying long term imbalances. Our energy is blocked, our organs and body systems are not functioning well. Our bodies are storing toxins, cellular structures may have been damaged. Our body and energy field may need some support in cleaning out, and we are impacted by inherited weaknesses. The physical and energetic body can use some support in coming back into balance, restoring energy flow, detoxing, and repairing damage and unwinding genetic weaknesses. A Bio-Energetic Scan with the SpectraVision system is designed to identify these kinds of imbalances and support the body in reversing the process from declining health to improving health. Add to that, the SpectraVision also identifies the life challenges that we are growing through and offers support though energetically charged customized light and flower remedies. What’s the Right Diet for Me? Create a healthy relationship with your body. Create a loving relationship with your body. We are all unique. The food you put into your mouth becomes your physical body. It is the building blocks for your body. The quality and quantity of food is important. Your relationship with your food is important. Your body processes and uses food based on your unique bio-individuality which includes your metabolic type, nervous system type, endocrine type, blood type and more. What’s the Right Diet for Me, identifies the diet that is uniquely suited to your body. You will learn to listen to your body to personalize your diet even further. By listening to your body, you will begin to reconnect with the wisdom of your body and allow that to guide your in your life. You will discover that your body is not the enemy, but a friend in need. Your body is designed to serve you. When it isn’t functioning properly, it hurts and is tired and cannot support your in living your life to the fullest. What’s the Right Diet for Me, reestablishes a loving relationship with your body and provides your body the correct food so that it can repair itself and give you the energy you need to enjoy your life. Click here for more information on What’s the Right Diet for Me. Every endeavor needs a foundation. The foundation for healing must begin with the daily care of our bodies. Our daily lifestyle has a tremendous impact on our health. Addressing exercise, hydration, sleep, managing our time and resources, enjoying life. Balancing work with play, engagement with relaxation. Even the simple art of breathing can make a big difference in our health. Add to that the idea of bio-individuality; that each of us are unique and our needs are unique as well. This foundation is addressed in the Lifestyle Coaching Program. The body is designed to heal itself. But it needs the right care to be able to fulfill that task. The body truly needs the right fuel, rest, sleep, activity, breath and balance to continue to function well. I am well aware that with fibromyalgia, even these normal and natural lifestyle elements are difficult and seemingly impossible. We will work together to discover the underlying causes of the challenges in these areas and resolve them. Lifestyle Coaching is an exploration of your connection to your body and your commitment to providing your body what it needs to thrive. It helps you to know what choices are right for YOU, supports you in making health supportive choices and addresses the blocks to making those choices . . . which leads us to Foundational for Healing 2 – Mind, Emotions and Spirit. Click here for more information on Lifestyle Coaching. What is the purpose of our lives? I think each of us has a unique gift that we are here to share with others. That is our purpose. Too often our light and expression of our gifts is compromised or hidden as we attempt to conform to society and receive acceptance and love. We are here for a higher purpose. The ultimate purpose is to embody our Divine nature while on this planet. To live love, to express love, to uplift mankind, to share our gifts with the world. That is a life worth living. This doesn’t mean we have to be some sort of world famous person. We can uplift mankind by being a loving person, living from a place of integrity and by touching each and every person we meet with kindness. This kind of focus, gives us something to truly live for. Something to pull us through and out of our negative conditioning. Something to give us a reason to be healthy. To fulfill our mission on earth, we need to know ourselves and our deepest heart centered values. If we can define and live those values, we will be fulfilling our purpose. We can become conscious creators of our experience, have healthy happy relationships, and a livelihood that brings us satisfaction and fulfillment. The Inner Transformation Program prepares us for this by clearing out the blocks from our true self and rescripting our thoughts and belief systems. The Align with Your Purpose program builds on this by helping us to clarify and define what is truly important to us and provides practical life skills to help us to maximize our expression in the world. It helps us to get in touch with inner peace and allows that to be our touch stone. Inner peace is the truth of who we are. When we are in a state of inner peace, we are in alignment with our highest truth. Once you know that, you will know you are out of alignment when you feel turmoil. Once you know that and have the tools to return to inner peace, life becomes an exploration and a moment by moment experience of ever increasing Integrative Wholeness. What's the Right Diet for Me? Reconnect with your joy and your passion. Discover your purpose. Integrate life skills that support you in bringing your purpose and passion into your life and the world. Coming Soon. I invite you into this journey to rebuild your health, reclaim your life, rediscover you joy and align with your purpose. However far this journey takes you, you will be changed for the better in ways that you can’t even imagine. The Individual Programs provide a step by step approach to rebuilding your health. If you want to want a focused program that steps up pace, the Comprehensive Program blends all of the Individual Programs and is personalized to your unique needs. This program personalizes and blends all of the Individual Programs to give you the very best opportunity to rebuild your health, reclaim your life, rediscover your joy and align with your purpose in a focused and expedited manner. Working one on one with me in this program is life changing and will bring you toward your goals in ways that you can’t even imagine. Got Questions? Submit your question through the contact page or click here to sign up for a personalized Discovery Session. So much to choose from. Where do I start??? 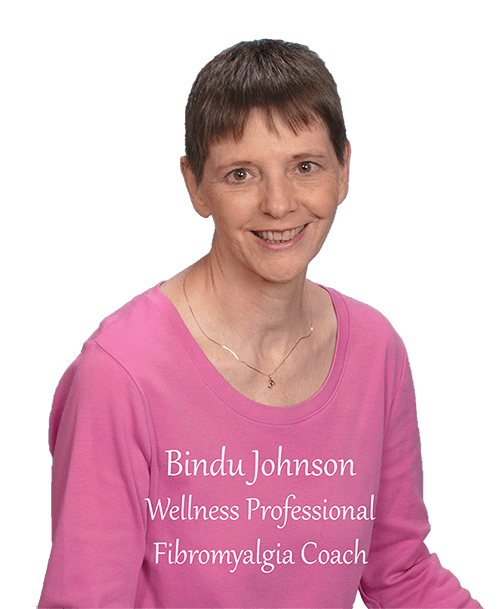 Enjoy a one on one conversation with Bindu to clarify your challenges, goals and create a personalize journey to living the life of your dreams. Author of Conversations with Dog, Cat and Horse, The Holistic Animal Handbook and Kinship with Animals. Not Ready yet? Want to get to know me better? Great! Subscribe to our newsletter, receive tips on rebuilding your health, stay updated about our programs and offerings and get instant access to your free report and bonus worksheet!